At six feet tall, sophomore forward Brittany Snow looks every bit the women’s basketball team leader her coach sees her as. But when she is not training or playing, Snow works toward another goal–becoming an orthopedic surgeon. Snow used to volunteer at her local Ronald McDonald House in New Jersey, and after meeting many of the patients, she realized she wanted to find a way to make a difference. 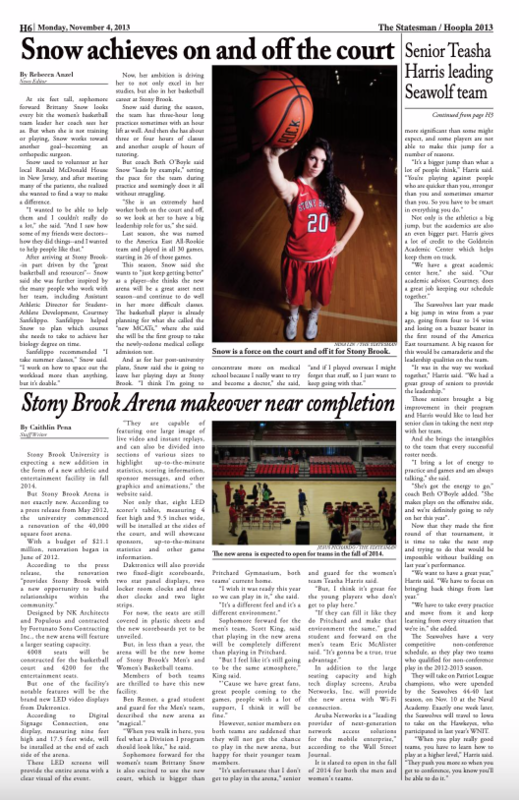 After arriving at Stony Brook–in part driven by the “great basketball and resources”– Snow said she was further inspired by the many people who work with her team, including Assistant Athletic Director for Student-Athlete Development, Courtney Sanfelippo. Sanfelippo helped Snow to plan which courses she needs to take to achieve her biology degree on time. 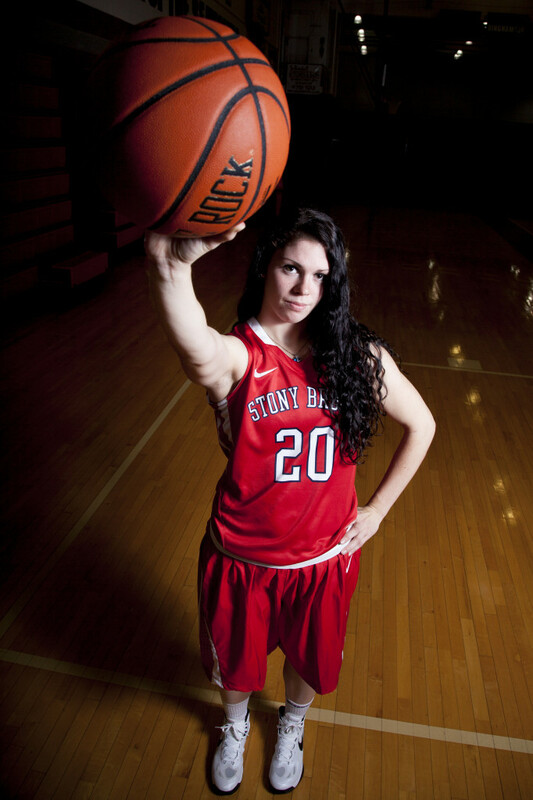 Now, her ambition is driving her to not only excel in her studies, but also in her basketball career at Stony Brook. Snow said during the season, the team has three-hour long practices sometimes with an hour lift as well. And then she has about three or four hours of classes and another couple of hours of tutoring. But coach Beth O’Boyle said Snow “leads by example,” setting the pace for the team during practice and seemingly does it all without struggling. The Statesman published this piece in print on Nov. 03, 2013. “She is an extremely hard worker both on the court and off, so we look at her to have a big leadership role for us,” she said. Last season, she was named to the America East All-Rookie team and played in all 30 games, starting in 26 of those games. This season, Snow said she wants to “just keep getting better” as a player–she thinks the new arena will be a great asset next season–and continue to do well in her more difficult classes. 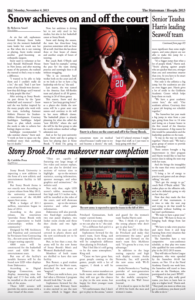 The basketball player is already planning for what she called the “new MCATs,” where she said she will be the first group to take the newly-redone medical college admission test.